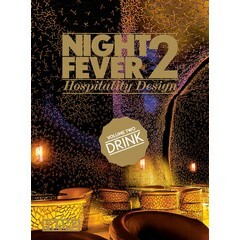 Unveiling show-stopping hospitality interiors from across the globe, as an overview of design trends for bars, restaurants and hotels. 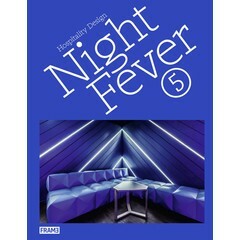 As much of a barometer of design as its successful predecessors, Night Fever 5 is a global overview of the prevailing trends in hospitality design. 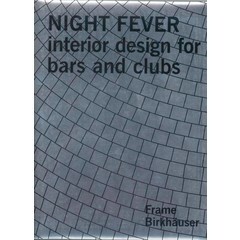 The luxurious volume consists of three chapters; the first covers bars and clubs, the second features restaurants, and the third is devoted to hotel interiors. This book offers readers 100+ fresh and exciting projects featured on a total of 496 pages. Interiors are featured on 2 to 8 pages that are filled with photos, drawings, sketches, floor plans and of course a description of the design. Projects are selected based on their original concept, creativity, innovative approach or the project’s unmistakable wow-factor. An extensive index at the back of the book describes each featured design studio including their contact details and the addresses of each venue they have designed. 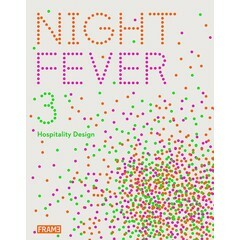 Sought-after new title in the highly successful Night Fever book series. A 496-page reference book filled with 100+ recent and extraordinary hospitality venues located in the United States, Europe, Asia and Australia. Presents work of well-established designers as well as work of young talents. From bijou bars and small eateries to multilevel clubs and luxurious hotels, the projects are divided into three sections: Drink, Eat and Sleep. Featured projects are presented on 2 to 8 pages with an explanatory text about the concept and design, project credits, floor plans, design sketches, detail drawings, renderings and stunning photography. For each project the text explains how the concept developed, and how ateliers and studios distil the essence of a venue and create a specific atmosphere, all within the remit and restrictions of the client’s brief. An extensive index at the back of the book describes each featured design studio including their contact details and the address of the venue they designed. 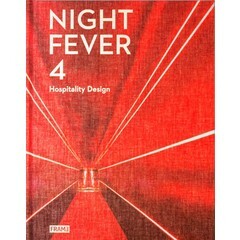 This book is the definitive title to feature all hospitality venue types (bars, clubs, cafes, restaurants and hotels), while other competitive titles only focus on one or two individual sectors per publication.